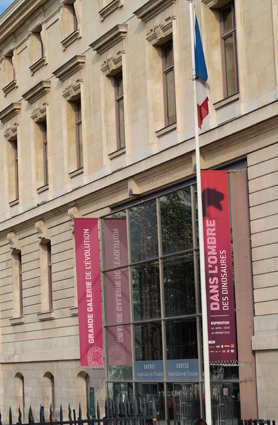 Torsten Dikow visited the Diptera collection of the Muséum national d'Histoire naturelle (MNHN) in order to study and photograph 41 holotypes of Mydidae as well as 2 holotypes of Phellinae (Asilidae) important for the REVSYS project. 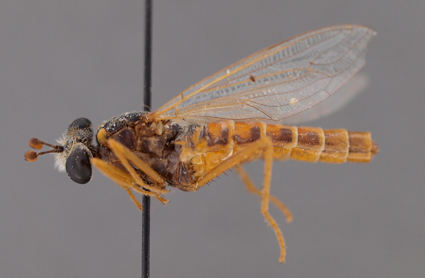 In addition, many other specimens were studied and entered into the specimen database in order to provide a better visualization of the wold-wide distribution of Mydidae in particular. Several interesting specimens of yet undescribed species of Mydidae were borrowed in order to make these species available to the scientific community. 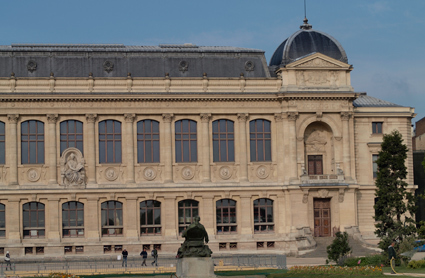 The beautiful main building of the MNHN that houses the evolution exhibit. The entrance to the MNHN evolution exhibit. 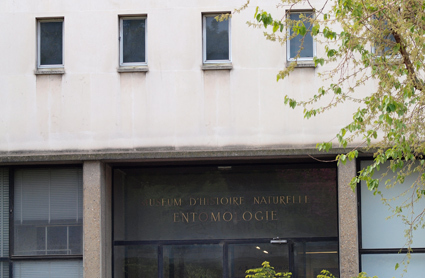 The entrance to the MNHN entomology building on Rue Buffon where the extensive Diptera collection is housed. This is one of the rarest Mydidae - Midacritus kuscheli Séguy, 1951 from Toconao (Antofagasta Province, Chile) known only from the female holotype collected in 1946 and deposited in the MNHN.